Montgomery, NY (March 31, 2019) – On Saturday, March 30th, police and other responders were called to the scene of a helicopter crash that took place on Youngblood Road. When they arrived, they found that five people were injured in the Orange County crash. 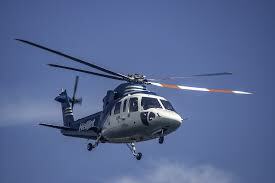 The helicopter was identified as a Bell 222 but the individuals inside it were not identified. The crash occurred in a location that was about a two-hour drive from New York City. Officials say the crash took place immediately after the helicopter took off. The pilot was experiencing problems with the helicopter immediately after takeoff and said that he had been trying to make an emergency landing but was unable to do so before it crashed. The accident is under investigation at this time. Aviation accidents do not happen as commonly as motor vehicle accidents because not only are there fewer aircraft in our skies than vehicles on our road, but pilots are specially trained for the job when it comes to being able to fly a helicopter, making these accidents less prevalent. Being involved in one of these accidents can be a life-changing experience. We would like to extend a helping hand to you if you have experienced one of these accidents in New York and wonder where you can turn. At Hach & Rose, we have made it our personal responsibility to assist those who have been vastly affected by an accident in our skies and wonder where they can turn during this difficult time. Pilot error, mechanical issues, and more contribute to these serious accidents that tend to come with catastrophic injuries and even fatal results at times. Please contact us today at 212-779-0057 to find out how we can help in the midst of your case.